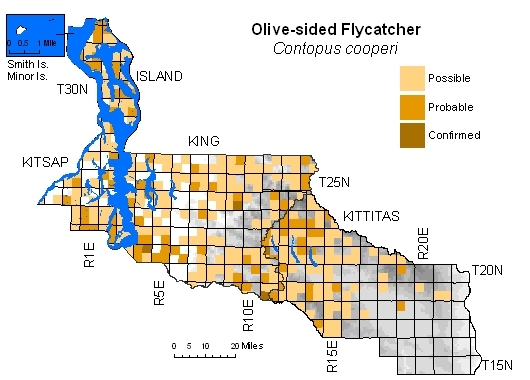 Common in most forested landscapes throughout our four-county area, from sea level to subalpine parklands. Prefers sites with large tree patches adjacent to clearings, burns, clearcuts, or wetlands. 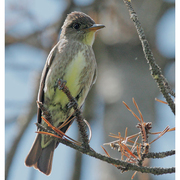 Breeds sparingly in city parks and residential neighborhoods, but most sightings in such places probably migrants.